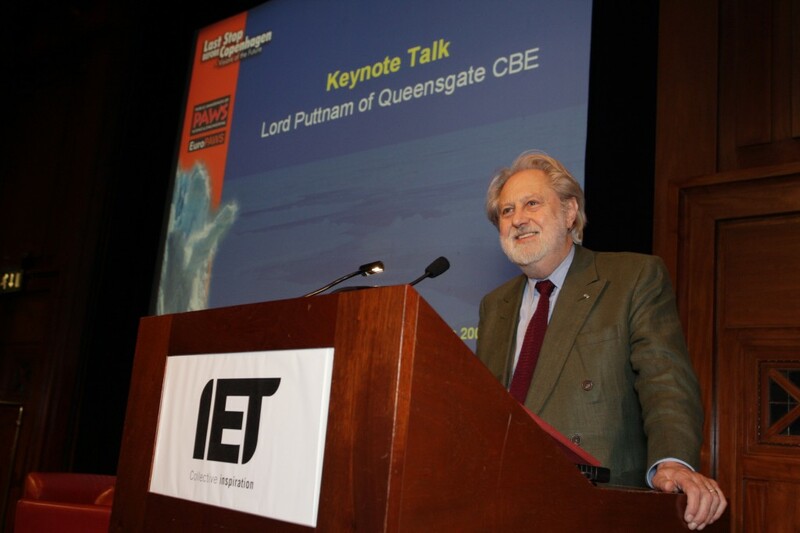 Lord David Puttnam, Oscar-winning film producer, gave the keynote address. 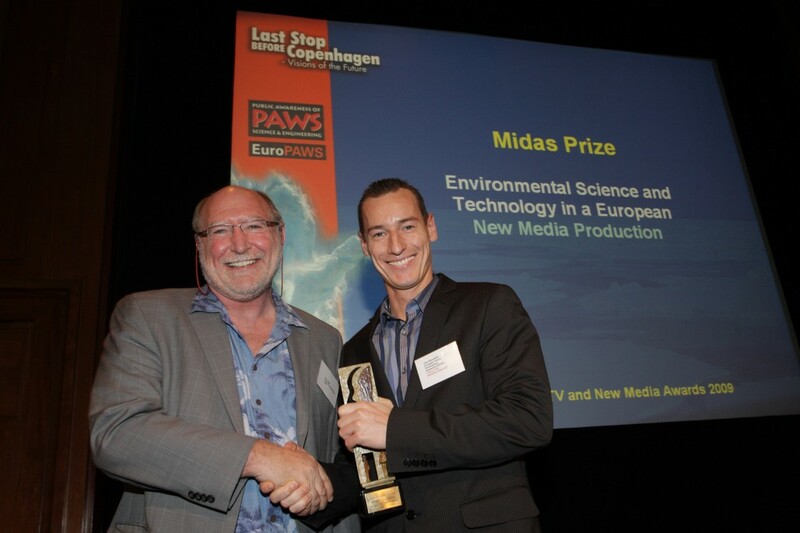 The prize went to the EFDA-produced film "Fusion 2100" and was presented by Neil Calder from ITER (on the left with prize-winner Örs Bendekfi ). What were the best European environmental TV documentaries, TV dramas, and web-based films last year? The answer came at the Environment in Television and New Media Awards Evening held in London on 23 November. A short list was drawn up from hundreds of applicants from all over Europe and the winners were announced in true Oscar "ripping open the envelope" style. There were three categories: TV General Programming, TV Documentary & Drama, and New Media. At the end of the ceremony, there was a vote on what should be done right now to confront environmental damage. "A crash program of carbon-friendly energy provision" was overwhelmingly elected. A good night for fusion.